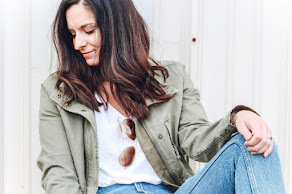 When I put this outfit together, my first thought when I looked in the mirror was that I felt so put together and chic. There's something about the color black that instantly makes you look so chic. I thought this was a dress when I picked it but I was pleasantly surprised to find out that it's actually a romper! 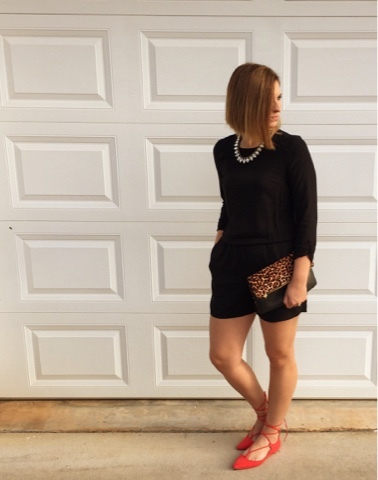 A fancy, chic romper from Ever Pretty that can be dressed up or down depending on the occasion. Ever Pretty sells beautiful dresses for literally every occasion that you can think of! Casual dresses, party dresses, and formal dresses. So many gorgeous options to choose from! 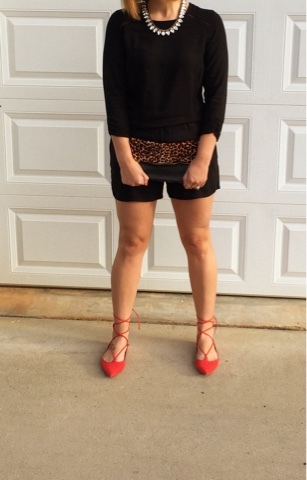 I added a statement necklace, leopard clutch, and red lace up flats to finish off this look. 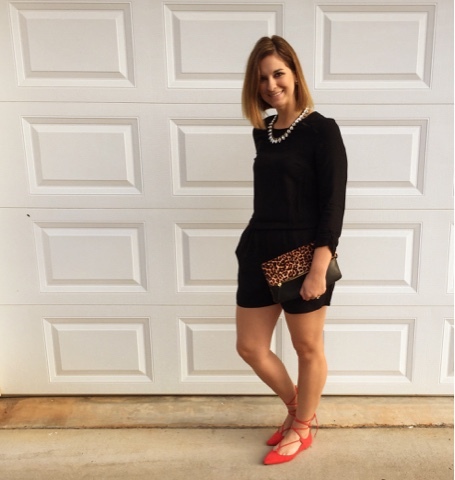 This is the perfect outfit for a date night with my husband... I mean look at the back of this romper?! Love it!